This month, we’re deviating from our regular routine of picking out a girl for the month, instead picking out a famous fictional character. 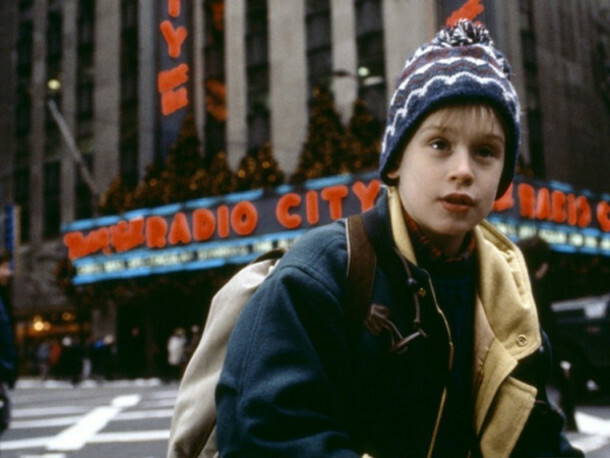 Since our theme for this April is all about holidays, we thought to write about one of the most iconic characters from the cult classic holiday movie, Home Alone: Kevin McCallister! 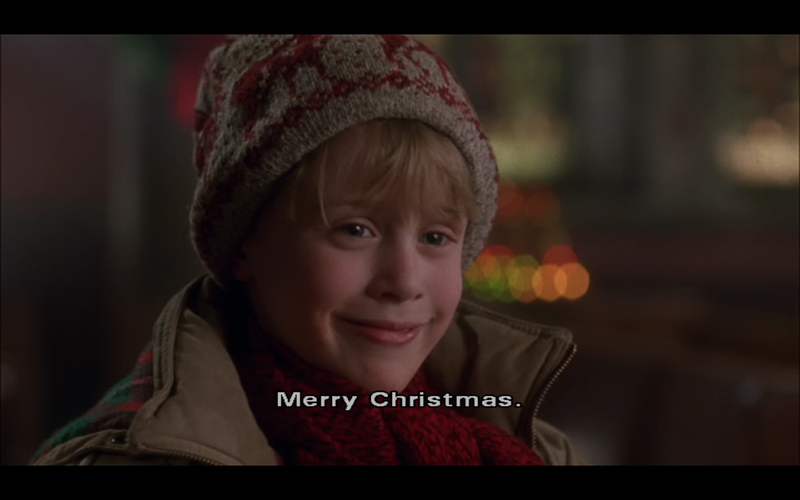 Home Alone, as you probably know, is one of the most popular Christmas movies ever. 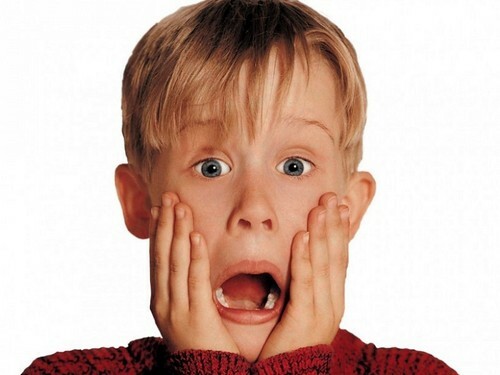 Say “Christmas movie” and the film that would spring to mind is Home Alone. Which is why, this month on Reinvent, we picked its protagonist, Kevin McCallister (played by Macaulay Culkin in the film) to be our ambassador for this month’s theme. So, why is Kevin a great symbol for the holidays? Because his character in Home Alone exemplifies what every kid thinks of: being on your own, without parental supervision, and just having a good time. Christmas is the season of receiving what you ask for, and in the movie, Kevin certainly got what he asked for — freedom from his rambunctious family, and spending the holidays on his own. It was good, for a while. He was able to eat all the food, watch all the TV, and even sneak into his brother’s off-limits room. Basically, he became an adult, and he revelled in every moment of it. However, when a pair of devious thieves decide to rob his ginormous house, and he had to face the real struggles of adults, he had to find a way to get by, and get by he did. He set up clever booby traps all around the house for the robbers, and he found guidance in an old man (whom he previously thought was an evil murderer) whose family seemed to have forgotten him, as well. Towards the end of the movie, Kevin (and the old man) realized the true meaning of Christmas — spending the season with the people you love, despite all the problems you might have with them. And truly, this message resonates with anyone who has seen this movie, which is why it’s a timeless classic. We could all learn a thing or two from the clever Kevin, and that is, we should be careful what we wish for, and that getting what we want won’t permanently make us happy. What matters is, to be surrounded with people you love, Christmas or not. During Easter Sunday, I spent the whole afternoon at my lola’s house with a bunch of my other cousins carelessly wading through the day by eating paella, cakes, sansrivals, and more paella. It was only towards the latter part of my visit when I was able to curiously uncover a huge pile of old National Geographic magazines dating back to the 60s until the 80s inside a cabinet in the old library. My wonder did not hold me back from pulling out random issues despite its brittle, dusty pages. One of the issues that I was able to get a hold off was one that specifically dated back to March 1965. The cover photo was this Spanish girl in this beautiful green dress. What struck me the most about this certain issue was that it was about the “Changing Face of Old Spain”. A sub-article inside it talked more on the Spanish city of Pamplona and a celebration called Fiesta de San Fermin, which was spent to honor their patron saint. Fiestas. It seems as if it is a word so common yet so foreign to me. All I think about when I hear the word “fiesta”, is this grand event full of faces of prominent individuals or products plastered on every corner of the venue. And it is quite odd somehow that while I was looking through the photos of the 1965 issue, I didn’t see even a speck of advertising, nor portraits of individuals hanging on any post at the celebration. Festivals or community gatherings today have turned into occasions full of advertisements or promotional tactics. Now is it even right or justifiable to allow the commercialization of festivals and holidays or are we only sacrificing the integrity of these events knowing that most of such occasions are in honor of a sacred person, event, or entity by society? Characterizing special holidays to specific commercial products makes it easily adaptable to the changing times of society. As materialistic as the whole concept may seem, the reality of having to relate plastic pine tress to Christmas, chocolates to Valentines, or cakes and candles to birthdays, have forced people to buy these products again and again, thereby retaining in their minds a sense of obligation to remember the occasion. In the US alone, statistics have presented that Americans buy 33 million real Christmas trees annually, while they also buy 58 million pounds of chocolate as Valentine’s day approaches. Industries benefit the advent of holidays, and so commercializing these events should only be as convenient and beneficial to the growth of their institutions. Monetary funds are the blood of holidays, and they are the primary life-giving entities that carry festivals into being. No, I am not referring to Yeah Yeah Yeah’s super catchy song. The “sacrilege“ that I’m referring to, as defined by Webster Dictionary Online “ [is] an act of treating a holy place or object in a way that does not show proper respect.” Commercializing holidays may sometimes lead to this act for 2 main reasons. First of which is that, primarily associating special dates to commercial advertising loses the luster and significance of it. Ask a kid today what first thing comes up to her head when you mention Easter, and surely one of the first things that would pop in their heads would be egg hunting. Easter in Catholic tradition celebrates the Resurrection of Jesus, and Easter egg hunting serves merely as a supplement to the celebration – sadly however, we’ve come to know the celebration because the practice. Secondly, the mindset brought about by festivals today revolves so much of what one can get and benefit from the whole celebration. People think so much of how much money they can get from partying with the whole barangay or how much more famous or well known they can get from generously offering what they have for the success of an event. For instance, the Santacruzan, a famous Filipino tradition that honors Queen Helena (hence the role name of Reyna Elena) and her son Constantine the Great’s expeditions in finding the True cross of Jesus Christ, traditionally showcased beautiful everyday women in their best traditional wear while parading around town, usually atop floats abundantly decorated with flowers. Santacruzans today are much more like beauty exhibitions, which comprise of famous personalities clad in their best designer filipinianas. It has turned into this commercial advertising where fashion designers yearn for credit while personalities aim for fame – which in my opinion is quite ridiculous. Sometimes I feel bad growing up in a generation where Christmas matters because one may be getting new things from Santa and her parents, or that one celebrated birthdays because she knows she’ll be spending on lavish parties and eating tons and tons of food. I feel envious, every time my lola would share how important and how cherished traditional practices were, such as the Simbang Gabi where the family enjoyed the acclaimed puto bumbong and bibingka. Now I ask once more: Are we really ready to give up having to spend time remembering the triumphant person, event, or entity that has been loved by the people in exchange for fostering a culture of commercialized thinking? Physics has always been firm in its belief that light travels at the speed of 3x10^8 m/s in vacuum, and by scientific law, no entity situated on earth or in space has been proven (yet) to have surpassed the speed of light. However, it is quite mind boggling to think of it so, considering that say, an industry so fickle as that of the fashion industry, has been creating a sort of disloyal aesthetic at a significantly swift pace. Come to think of it, doesn’t fashion - most specifically manufacturing and merchandising of new clothes - progress much faster than light? And isn’t it weird that because it travels so fast, none of us understand (and sometimes care) how people dress anymore? Fast Fashion is basically a term to describe the rapid production of garments as inspired by a certain trend during a certain fashion season. Fashion seasons are called after seasons that occur on Earth, although they occur 6 months earlier the season they were named after (weird right?). Fashion seasons vary per country. For instance, New York and Paris celebrate the major seasons: Fall/Winter and Spring/Summer; but they also have seasons such as pre-fall, resort/cruise, haute couture, etc. In the Philippines, however; there are two major fashion seasons: spring/summer and holiday. Examples of retail brands that are known for fast fashion apparel are Forever 21, H&M, Zara, Topshop, and the like. Because of the lucrative nature of the retail industry, some companies would go the extra mile for profit, even if it means having to pay a visit to the gates of wickedness, so to speak. Inhumane and irresponsible productions have surrounded fast fashion retail giants, specifically concerning its employment of child laborers and its construction of inadequately built and unsafe factories. Some enterprises have been caught in allegations saying that their employees are kept in hazardous conditions and are required to serve for 16 to even 18 hours a day. While yes, producing new clothes regularly for the consumption of the masses is inevitable, generating excessive products that will merely fall into the surplus bin does not only do damage to the pockets of companies, but to the environment as well. Fast Fashion may be pinpointed as one of the many culprits to the ever increasing inhabitants of landfills today. Thirdly, designer buys are still an investment and a good purchase. Yes they may be too expensive; but really, who wants to miss out on a good sturdy heel or ultra-soft sweaters. Besides, even if you are tired of your Blahnik’s, you could always sell them at a good expensive price, albeit lower. Investment buying may hurt your savings, but are altogether a celebration and a good exchange for what you’ve been working for. Newton’s second law of motion (Law of Acceleration) states that the net force of a certain object is equal to the mass of the object multiplied by its acceleration (F=ma). Since the quantities of acceleration and mass are inversely proportional, the second law tells us that if the mass of a certain object is small, its acceleration must be great. Newton must not have seen the idea of fashion when he did his equations, because if we gather the mass generated by all the clothing produced via fast fashion and equate it with a constant force, its acceleration value will most definitely not be small. Discrimination is wrong. It is evil, and disrespectful to the dignity of persons. The inclined nature of many people today when responding to concept of “discrimination” in all its forms is usually as involuntary as the way one jerks her hands off from a touch from a boiling pot. Individuals tend to sway away and reject it, even convincing to some degree that they themselves have not, in a way, upheld the offenses of discrimination. Although with the age of modernity and freedom, liberty and the cry for equality have become increasingly complicated to objectively achieve. While a few might argue that laws and rights established by institutions who protect humans, do protect the interests of humans, sometimes the unlikely may fool one. Affirmative Action was originally an executive order passed by the American president John F. Kennedy on March 6, 1961. Executive Order 10925 initiated the creation of the Committee on Equal Employment Opportunity, and ordered that there be no attention paid on one’s “race, color, and” national origin during employment. This was created under the goal that persons should be employed because of their ability to perform a certain job, and that all opportunities for employment are equal for all. But on the other hand, Stanford Encyclopedia of Philosophy defines Affirmative Action in quite a different way. ““Affirmative action” means positive steps taken to increase the representation of women and minorities in areas of employment, education, and culture from which they have been historically excluded. When those steps involve preferential selection—selection on the basis of race, gender, or ethnicity—affirmative action generates intense controversy.” This definition is slighted twisted from the original definition given originally in 1961. Affirmative Action has changed as the decades went by, and oftentimes has been misused to one’s benefit. As the name suggest, all people form all walks of life, may be employed in whatever field they prefer, so as long as they are qualified to do the work. If Affirmative Action is implemented properly, people will no longer understand what discrimination is in the workplace, and it could possibly be a thing of the past. With the rise of this concept, people are open to life improvement without regarding their natural qualities of race, color, ethnicity, or gender as a hindrance. When a company is an advocate of this idea, they may be credited as a just institution and people may think highly of them. Choosing due to race, gender, and ethnicity, although coupled with good intentions, is not wise and not professional. People should be employed because they are able to perform the work, and not because of their natural traits. 2. Helps identify who the “Inferior “ sector is, when in fact it shouldn’t be identified at all to start with. With representation comes misrepresentation. Institutions would likely see which members of society are misrepresented, and compensate having a quality company full of equipped workers to that of a so called “equal-minded one” by hiring individuals who are misrepresented. Segregation of people based on gender, race, and culture tends to occur afterwards. This is wrong and people have to live without discriminating. While anyone cannot agree any further that the cry for equality has taken a somewhat backward turn due to the incidences of preferential selection based on gender, race, and culture, one may merely hope hat someday our society’s way of thinking may go back to what was really intended by Affirmative Action – which is, as a basic, respect for human dignity. This month, Reinvent is all about celebrating some of the most popular holidays: Christmas, New Year, Valentine’s, and all. Why do we enjoy these holidays so much? It could be the food, or the presents, or simply the fun times we can have with our friends and family. Or, maybe, it could be because we just want to get out of school—am I right or am I right? We look forward to plenty of these holidays each year because we know that we most likely won’t have to school during these days. That kind of makes us wish there was a holiday everyday, right? Lucky for us, there is actually one (sometimes, several) holiday(s) for every day of the year. Isn’t that great? Unlucky for us, though, these weird holidays aren’t official enough to have our school suspend classes everyday. That doesn’t mean we shouldn’t celebrate them anyway! So if you’re into celebrating some weird holidays for the rest of the year, check out the holidays we've listed below and mark your calendar! Getting Down With The Basics: What Is A Social Issue? Oftentimes, we find ourselves tiresomely and desperately scraping off any residual intellectual idea for our English papers hoping to find any decent information we can impart in writing our papers on social problems. Oftentimes, we are stuck to realizing that none of what we say makes sense anymore and we begin to question life and existence, pleading to question “why the hell should we care about Social Issues anyway?” Now pause right there. Really, why should we care about social issues, problems, dilemmas, etc., when we’ve got our own lives to fuss over already? Why in the world do we have to know all these things and write essays about them? Sure, this may sound off as egotistic, selfish talking, but I’m sure at one put in your lives you have questioned the essence of all these matters. 1. How would one define a ‘social issue’? Project Legal says that it is a “condition that at least some people in a community view as being undesirable.” Undesirable is something not fancied for because it may be dangerous, unnecessary, or may negatively affect a certain person or group of individuals. Joseph R. Gusfield, on the otherhand, defines “social problems” as “a claim that some condition, set of events, or group of persons constitutes a troublesome situation that needs to be changed or ameliorated.” A certain way of living or a problem is not a social one if it does not interfere with already existing beliefs and views of individuals. Consequently, Social issues define ideals and standards held in society, and eventually molds the perceptions of a person to a group of people to regard something as either ‘good’ or ‘bad’, ‘pleasing, or ‘unpleasing’. 2. 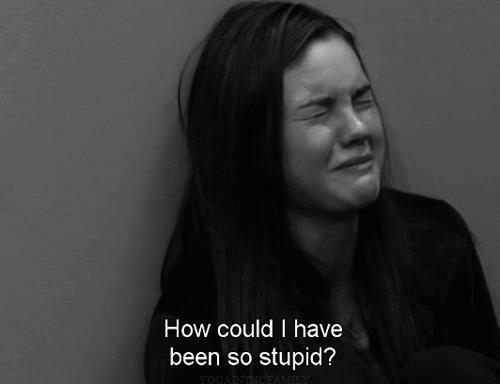 How should I deal with social issues and 3. why should I bother knowing them? Due to the complicated nature of social issues, the best way to go about them is by defining them first, and then weighing its pros and cons. For instance, let’s take Sexist Advertising a try. You should care about knowing these things because not only do you have to enrich yourself with worldly knowledge but also contribute to a solution. Being aware of the issues taking place in the world today and being a part of solution making team only makes you a much better person. Also, if you want to learn how to read a newspaper, you might want to brush up on such worldly issues. Above all, being aware of social issues could do most good in the way we can improve our living conditions and in the way all parts of society take part in helping achieve it. If a certain issue is assumed to be troublesome, all members of society can pitch in with ideas and look for ways in making the situation more comfortable. Sure, not everyone will agree to all the conditions but at the end of the day, all that we deal with in this world are mere compromises.